We know that getting adequate sleep, good nutrition, exercise and support are some of the key factors to developing and maintaining good mental health. However, the capacity to achieve this balance is not easy. Pressures of school work, peer interactions, family conflict, experimentation with drugs and alcohol, the complex physical changes and the desire for independence at this age can bring difficulties for a young persons. Juggling many things at once can be very stressful and at times overwhelm them. Recognising that a young person maybe developing a mental health problem or experiencing a mental health crisis and seeking timely, appropriate professional help is important to minimise the impact on schooling and social development. 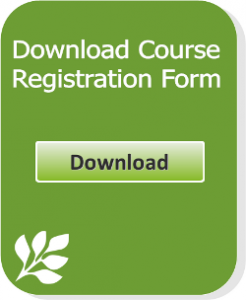 Providing YMHFA courses is a strategy endorsed by the Canadian Government in 2006 and by President Barack Obama January 16 2013. 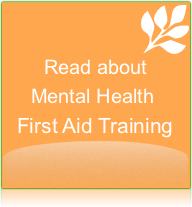 Providing training can assist a young person during mental health crisis or when developing a mental health problem, has proven to significantly increase help seeking behaviours and improve the confidence of individuals providing the YMHFA. Ensure the young people in your life have the mental health support they need. 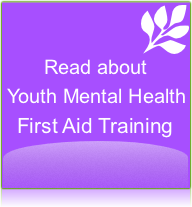 Do your part in recognising youth experiencing a mental health crisis by undertaking Youth Mental Health First Aid Training. Call our office on 1300 668 089 to book your training, or email us for further information.